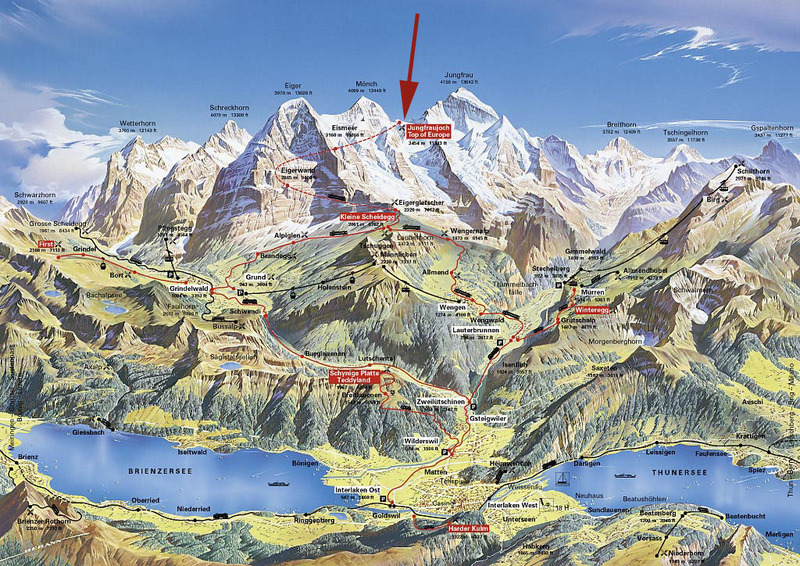 We had 3 days in this region and made some investigation from Interlaken website and Lonely Planet Switzerland book. 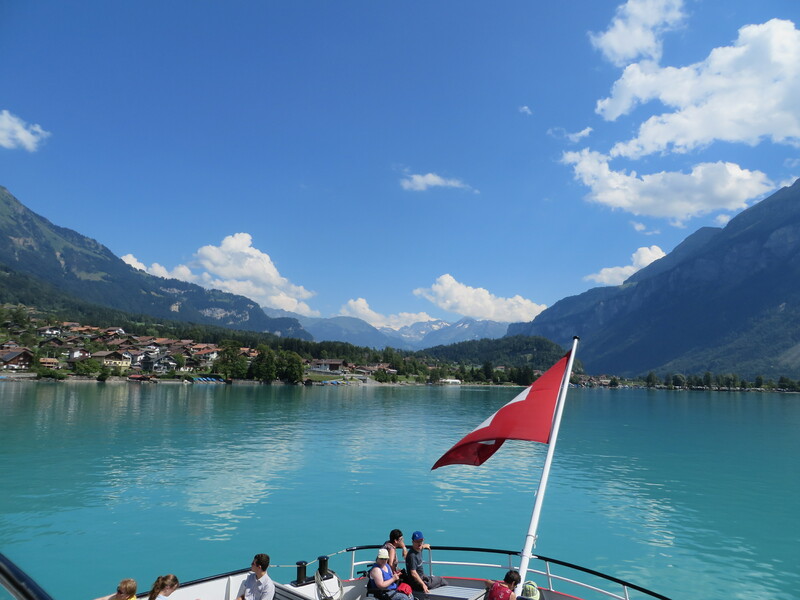 This is the Bernese Oberland part of Switzerland and has 2 beautiful lakes and many mountains and rivers…You can also check Jungfrau website for more excursions around the great Jungfraujoch (they call it Top of Europe) region. 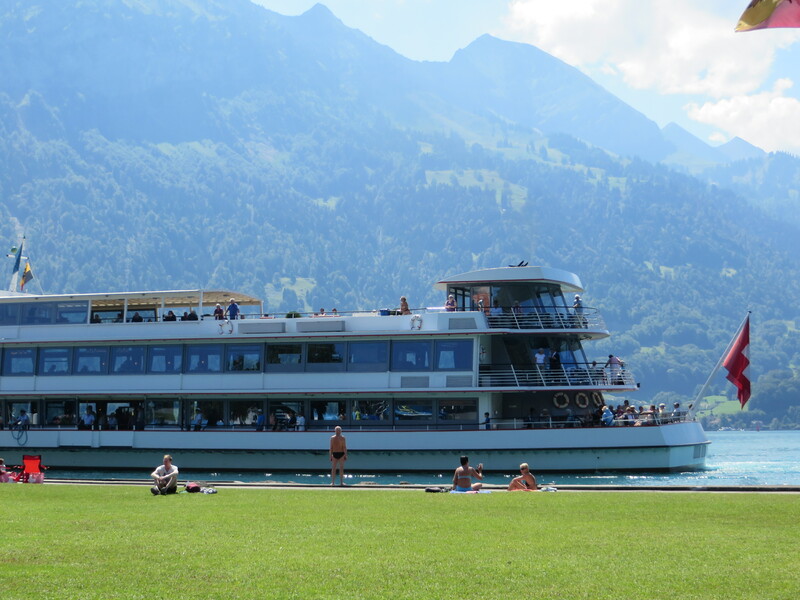 This is our third time in this region and this time we stayed in Thunersee lake side, although both lakes are so beautiful, you can try any of them! 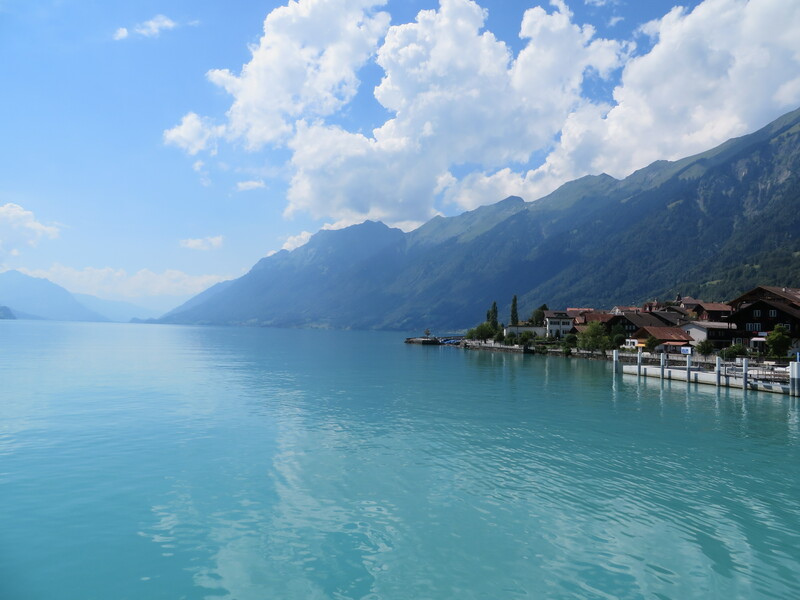 We stayed in a wonderful small hotel called Neuhaus just next to lake Thunersee, close to Interlaken Ost! 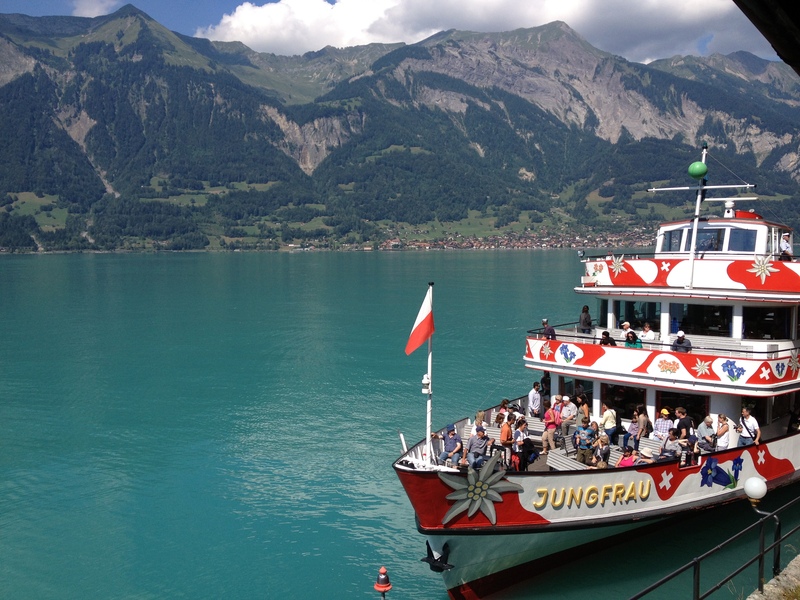 Today I will only share the pictures from our boat trip on Brienzersee, from Brienz to Giessbach waterfalls. 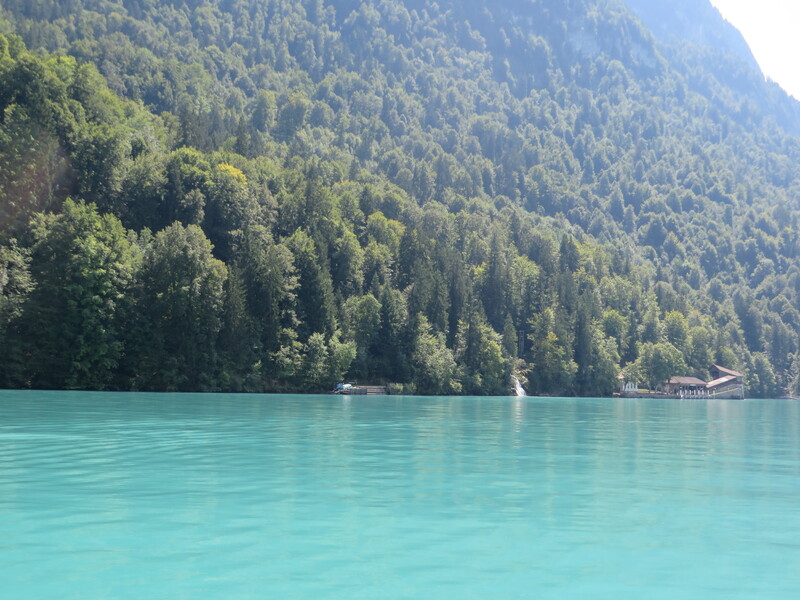 There are boatrips all around these two lakes, you can choose any destination as they are all great! 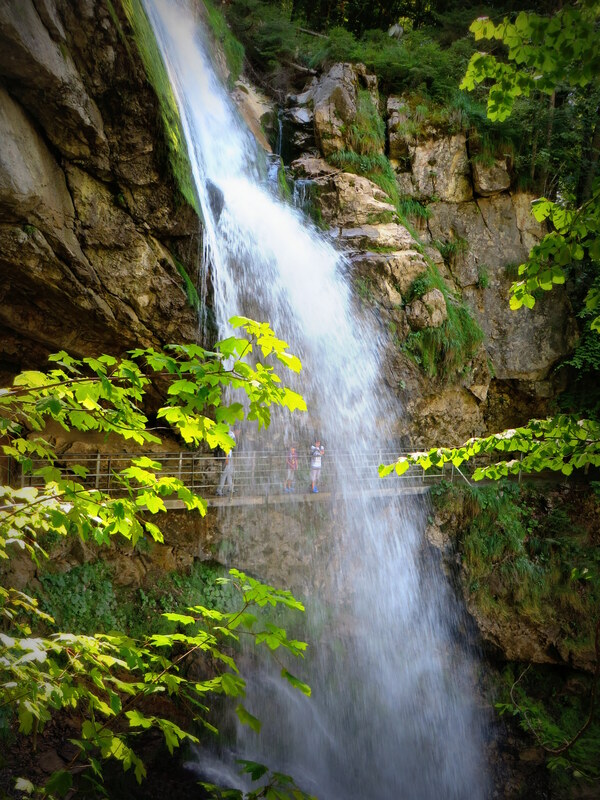 We chose this one to see the waterfall in Giessbach. 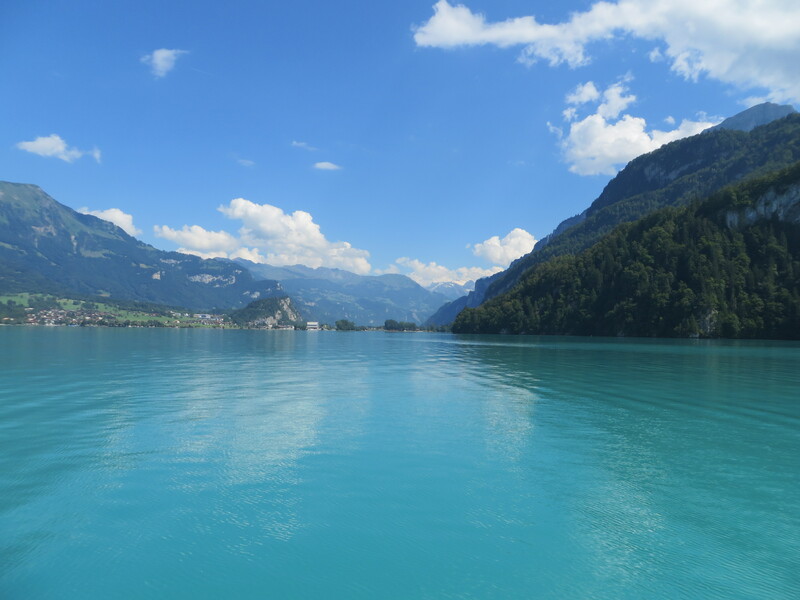 I could not beleive my eyes with this incredible color of the lake…feels more like you are in Thailand or somewhere in Asia rather than Switzerland!! 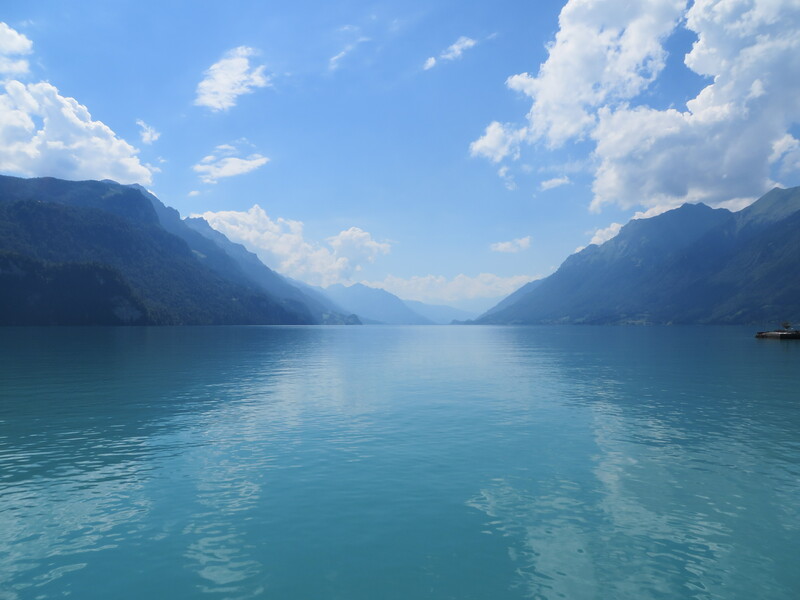 Mind you, I have not used any filters and have not touched at all afterwards as well! 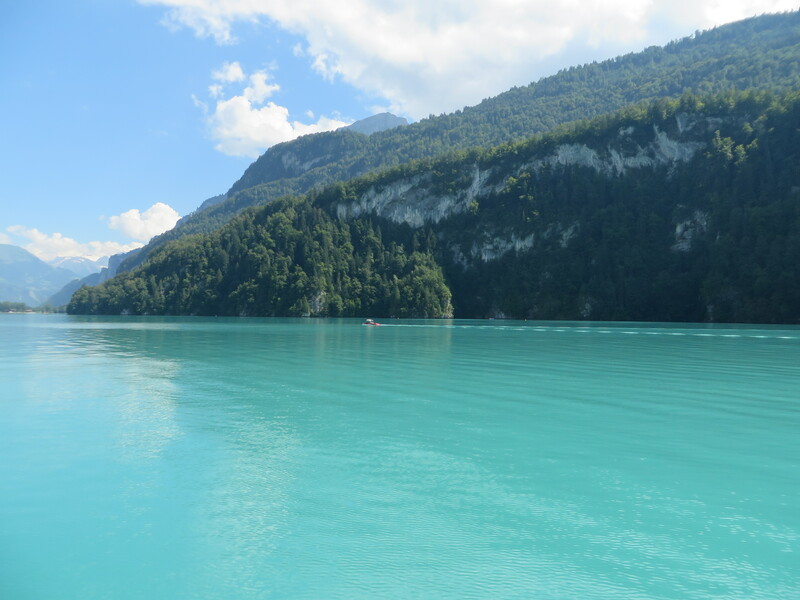 All are natural colors. 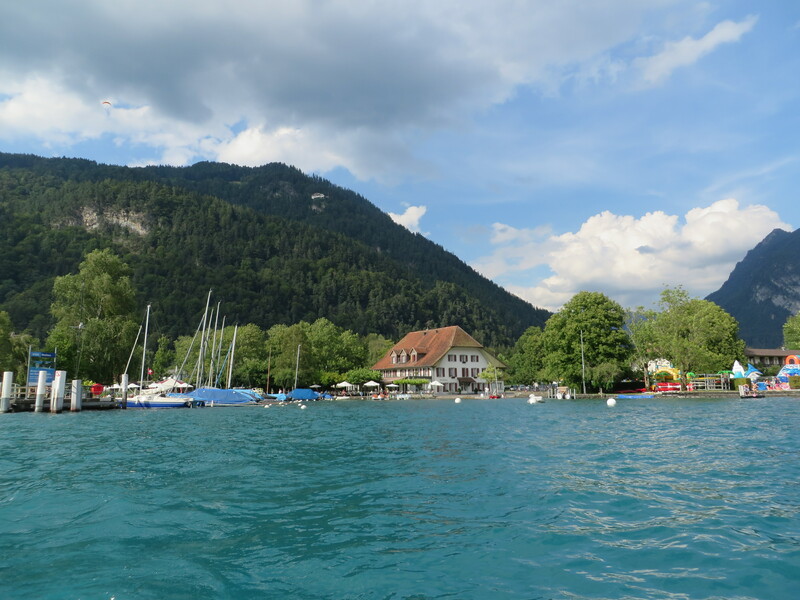 Do they not look like postcard or a storybook pictures? This whole area is really magical! 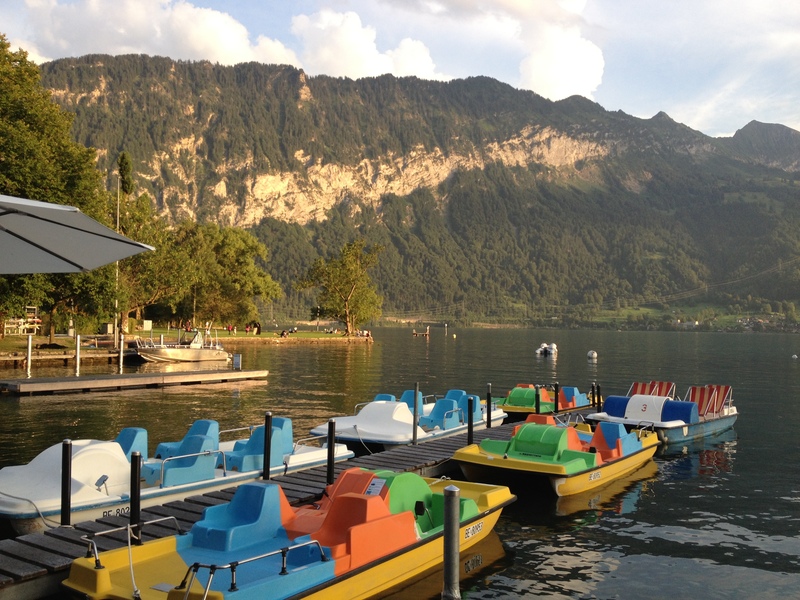 You can take the boat from where we stayed, Neuhaus and take a tour in Thunsersee, which is as beautiful as the other one..
After the tour you hire one of these colorful bikes and paddle over the lake to swim! 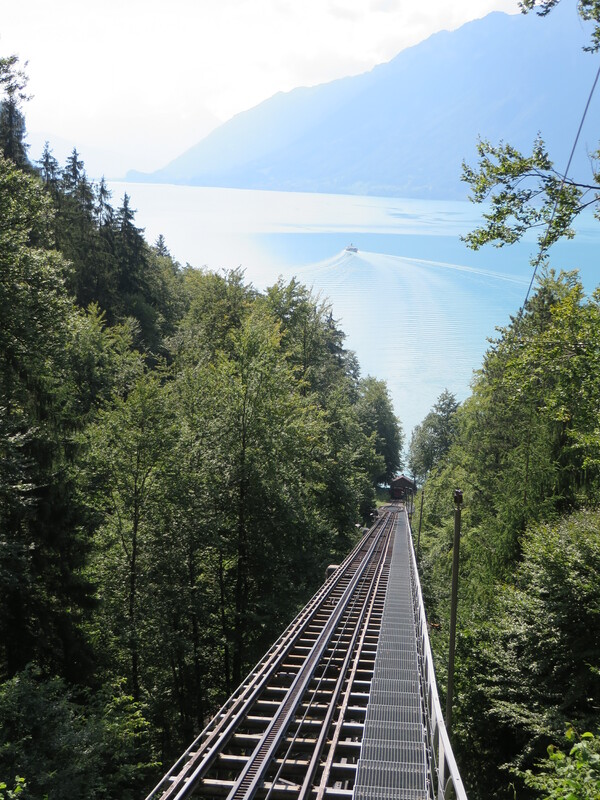 We visited the waterfalls after mini trip with a nostalgic train up..
Waterfalls were great and it will be subject of next post! 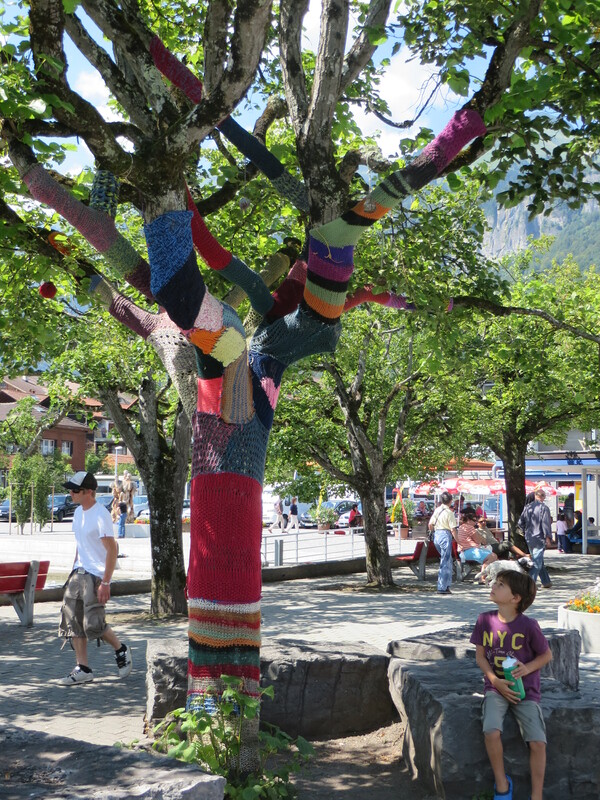 On the way back, we came across with this tree and loved its colorful knitted pullover! !